Colin Glen Forest Park in Belfast, Northern Ireland has received the green light for an Alpine coaster. 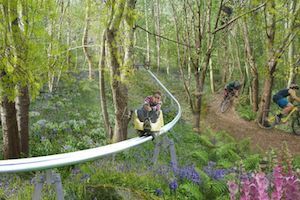 Following Belfast City Hall’s approval, the 565m long toboggan ride will add to the park’s attractions which include a zip line, driving range, Gruffalo adventure trail and Skytrek ropes course. The £800,000 project will be a first for the country.